In the late 1960s, so few other Latinos attended his college, Cástulo de la Rocha could find and personally call them all in a matter of days. And as a student activist in a growing Chicano Movement, he did just that. UC Santa Barbara now is one of two Hispanic-Serving Institutions in the prestigious Association of American Universities, a designation stipulating that Hispanic students comprise at least 25 percent of total enrollment. And de la Rocha, alongside other passionate, vocal students, staff and faculty, played an important role in that evolution. During a time of widespread unrest over the Vietnam War, the Civil Rights Movement and more, he was a key figure at UC Santa Barbara in the Chicano Movement that was also then burgeoning on campuses nationwide. Among its core priorities was a push for higher education to better reflect Chicano identities in student populations — and better represent Chicano history and culture in curricula and scholarship. Scoring on both fronts, the movement in 1969 notched a now-landmark achievement: El Plan de Santa Bárbara. Drafted by students, faculty and other delegates from across the UC system during a special conference at UC Santa Barbara in April 1969, El Plan was a 155-page manifesto and detailed blueprint for the formation of university-level Chicano Studies programs. It worked. The conference became a higher-education catalyst for the movement at UC Santa Barbara, across California and beyond, and El Plan came to be seen as a seminal document resulting in the establishment of many Chicano/Chicana studies programs. In fact, UC Santa Barbara’s own program — now entering its 50th year — was launched within months of El Plan’s release. Now, UC Santa Barbara will mark these milestones with a 50th anniversary conference examining the significance and enduring impact of El Plan. The Feb. 22-23 events, to be held in multiple venues on campus, are free and open to the public. In fact, it gave the student movement its own name, merging then-prominent United Mexican-American Students (UMAS) and several smaller organizations into a singular force for change with a new moniker, Movimiento Estudiantil Chicano de Aztlán (M.E.Ch.A.). Today there are hundreds of MEChA chapters nationwide. Among the anniversary conference highlights, a panel discussion moderated by de la Rocha will feature several other UC Santa Barbara alumni who played a role in El Plan. 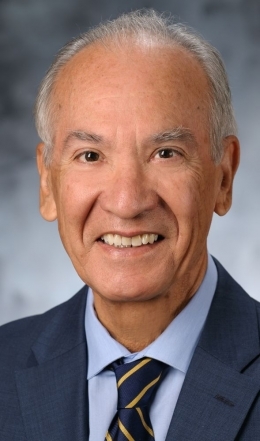 That vision centered primarily on “what a more just and equal higher education system should look like, not only including us but also in the work that it did and who benefitted from it,” said alumnus Joel García, a UC Santa Barbara student in 1969 and contributor to El Plan. And it was no pie in the sky. The delegates to the 1969 conference didn’t just want change — they were determined to affect it. It did that and then some. At UC Santa Barbara, for decades the only UC campus with a Chicano studies department, El Plan led also to the creation of the research-focused Center for Chicano Studies (now the Chicano Studies Institute) and Chicano EOP (Educational Opportunity Program) to help Chicano and Latino students transition to campus from their home communities. Yet another direct result: a Chicano/a studies collection, Colección Tloque Nahuaque, at UC Santa Barbara Library. The effects continued to reverberate. In 2003 UC Santa Barbara became the first university in the nation to offer a Ph.D. in Chicano/a Studies. “The result in 1969 was a specific plan intended to create an academic pipeline into the university for underserved and underrepresented communities, along with a structure to hold that pipeline accountable to the communities it served,” said Aldana, co-organizer of the anniversary conference. “The growth of the Chicana/o/x, Latina/o/x population at UC Santa Barbara and its relatively new status as a Hispanic Serving Institution unequivocally represents one goal of El Plan attained. But that does not mean that the work is finished or that the whole objective has been met. According to Aldana, the original conference from which El Plan arose was about students, staff and faculty coming together to address educational injustices. “It tackled the California Master Plan for Higher Education head-on,” he said. “That original policy document laid out a role for public education in a democratic society. Because the state government was intended to be representative and democratic, that meant that its actual population had to be taken into account and public education would have to change to address the needs of its diverse residents. Indeed, they are, and their dedication is a direct outcropping of the undeniable momentum cultivated by el movimiento and El Plan de Santa Barbara, asserted Mario García. 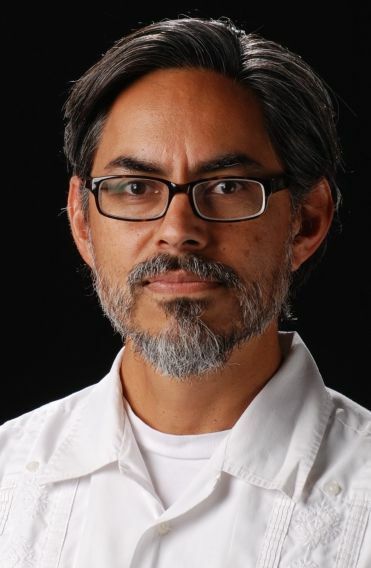 “In my opinion, the greatest contribution of the Chicano Movement, practically speaking, was the significant entrance of increased numbers of Chicano and other Latino students into higher education,” he said. “To me that’s the greatest success, and it continues. Could it be more? Yes, it should be. It needs to be more. But we have now reached HSI status, with Hispanic enrollment at 26 or 27 percent — a far cry from those 50 students that were here in the ’68-69 year. It’s a huge achievement.